May is here, and before you know it, all those outdoor gatherings will be popping up like late-spring blossoms. Are your lawn decorations beautifying your home or detracting from its elegance? 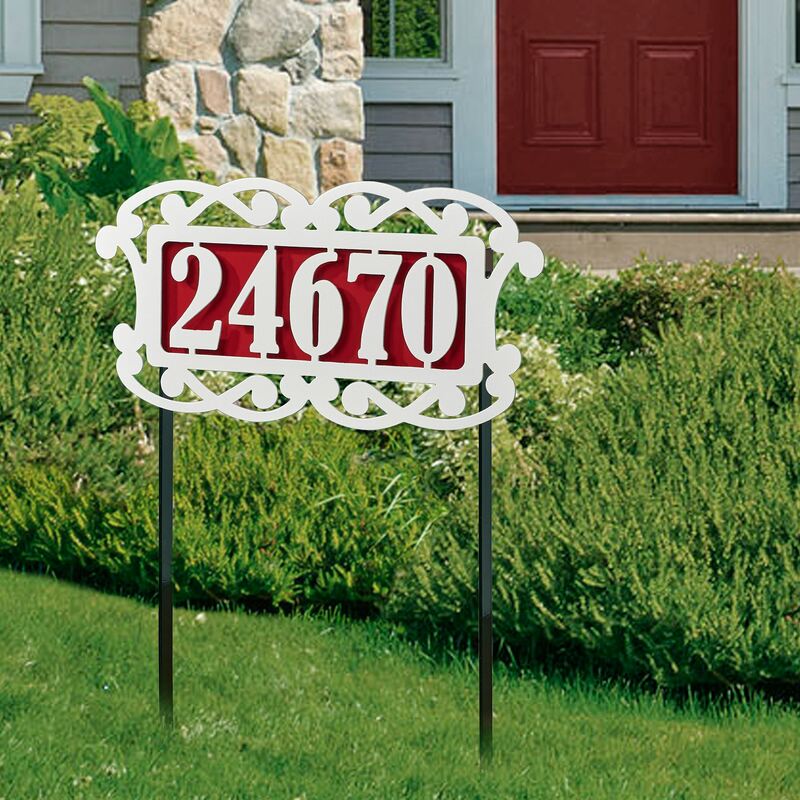 If your address sign has seen better days, the Fairway House Number Yard Stake will be a stunning replacement, one you’ll be proud to display year round. Each sign makes a great housewarming gift as well! Designed and produced exclusively by JasonW Studios®, the Fairway Collection features motifs that are chic yet traditional. Each yard stake is handcrafted in the USA from 14-gauge steel and finished in a UV-, weather-, and tarnish-resistant powder coat. An ivory design and your house numbers (up to five digits) pop from a backplate in your choice of color: blue, red, green, or black. Fairway Victoria has swirls, Fairway Estates features a scrolling design, and Fairway Classic displays a simple oval. Each 18”Wx26”H address stake is the perfect blend of form and functionality. Click here to view and order the Fairway House Number Yard Address Stakes, exclusive designs from JasonW Studios®, only available at Touch of Class®.